Update (10th October): Nokia 8110 4G launched in India at ₹5,999. It will be available to buy online via Flipkart and also through offline retail stores across India starting 24th October 2018. Nokia has also partnered with Reliance Jio to offer up to 544 GB of 4G data with the Nokia 8110 4G. Earlier (26th February 2018): Nokia 8110 4G, a phone inspired by the Legendary Nokia 8110 announced at MWC 2018. It has a curved protective cover that allows you to answer or end calls by sliding it and also sliding down the cover gives you access to the tactile keypad. 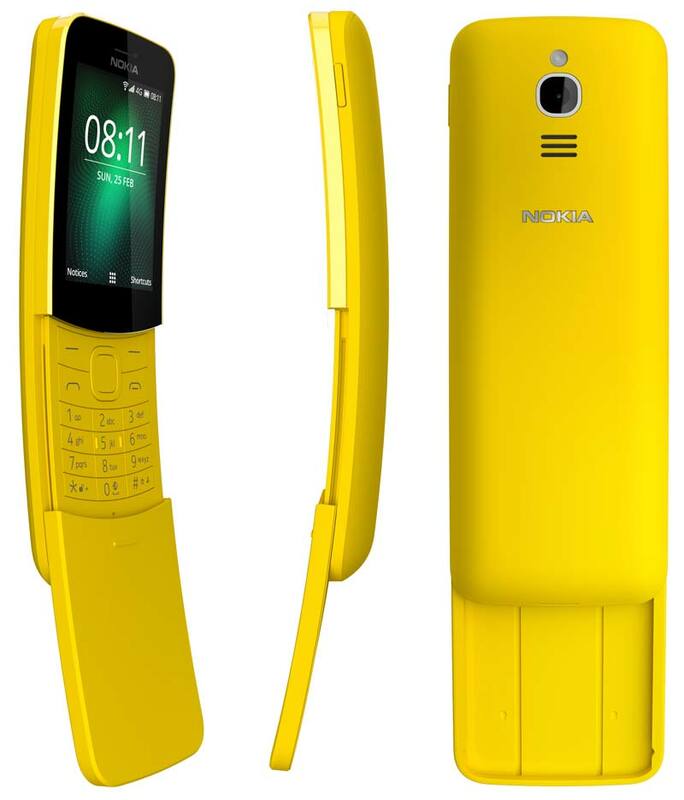 Due to the unique Banana inspired design, you can even spin the phone the way you want. This device runs on the KaiOS, the same OS which has been used in the JioPhone. It supports over-the-air (OTA) updates and also allows you to import contacts and sync your calendar through Gmail & Outlook. The Nokia 8110 4G has 2.45-inch QVGA curved display and powered by the Qualcomm’s Snapdragon 205 processor with 512MB of RAM. It has a 1500mAh battery that can provide up to 25 days of standby time. As per Nokia, this device supports crystal-clear VoLTE calling and comes pre-loaded with a revamped iconic Snake Game. Other key features are Dual SIM support, WiFi, GPS, Bluetooth and FM Radio. There is also a dedicated App Store lets you download the apps and games such as Google Assistant, Google Search, Google Maps, Facebook, and Twitter. Similar to Nokia 1, the Nokia 8110 4G is also certified by IP52 and protects the device from water spray less than 15 degrees from vertical. 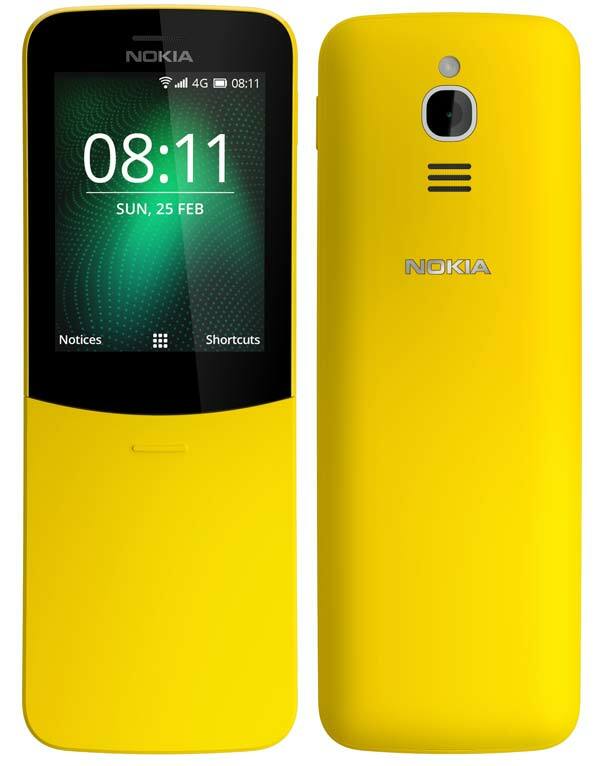 The new Nokia 8110 4G is offered in two color – Traditional Black & Banana Yellow and available to buy from May 2018 at a global average retail price of €79 (Approx. ₹6,300). Nokia has also said, a few popular apps which are currently in the development phase will be made available to download via App store in the coming days.